The hottest 2 models from Marushin are now IN STOCK! The Marushin 8mm Gas Powered M1 Garand and M2 Carbine! 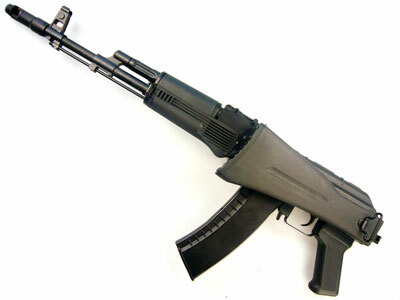 These latest Gas Powered rifles from Marushin are now HFC22a Super Power Green Gas Compatible! Marushin has redesigned their M1 Garand and M2 Carbine for the US Market, and is exclusively imported by Spartan Imports. The M1 Garand and M2 Carbine are 8mm Gas Power models and feature real wood. They look and feel authentic and were some of the most popular Airsoft guns we have exhibited at our booth for the past year! To read the rest of the review click on the ‘More’ link below! New Uk Airsoft mail order company opens specialising in Chinese airsoft. With gun prices from £65 and some of the best prices in the UK. A range of 17 guns with more coming every month. All purchasers are entered into a free draw for a full metal sd4 every week till the end of august. Another UK retailer of airsoft can only be a good thing, so show your support by having a look at their website. A press release from Peter at KWA. 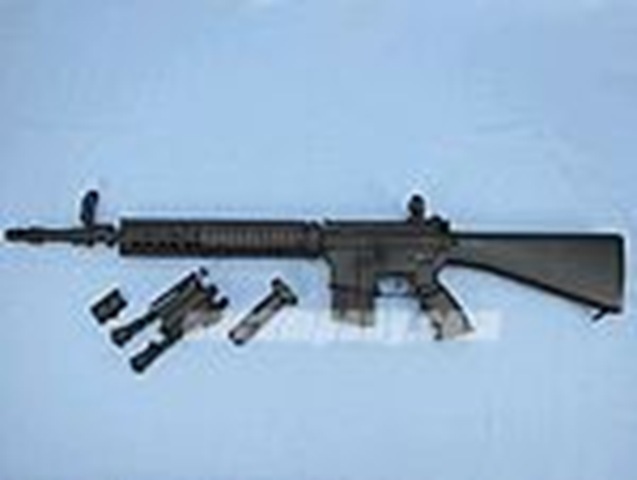 Rosemead, CA – August 20, 2007 – KWA USA today announced it is in the final stages of releasing it?s first Lithium Polymer (LiPo) ready AEG, the KWA KM4A1 Carbine. The new AEG was engineered specifically to take full advantage of today?s advanced battery technology and provide airsoft enthusiasts with the experience of absolute performance. Lithium Polymer (LiPo) batteries provide higher capacity and superior performance surpassing the more commonly available Nickel Cadium (NiCd) and Nickel Metal Hydride (NiMh) batteries. However, using the LiPo power source requires the highest quality of internal components. To handle the extra power of LiPo batteries, the KM4A1 is equipped with a reinforced metal gearbox utilizing KWA?s exclusive 8 and 9 mm ball bearing bushing combination and case hardened, precision metal gear sets. Heavy duty springs and high-torque motors are matched for optimum results. 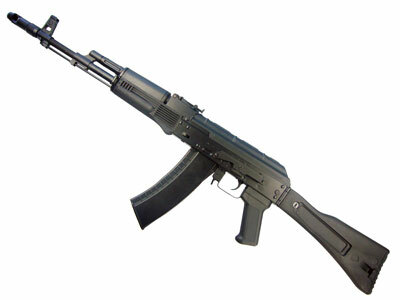 High-grade metal alloy are used for the production of the upper and lower receivers. The KWA KM4A1 is capable of firing more than 20 rounds per second and well over 400 feet per second when powered by an 11.1v Lithium Polymer battery. The decision to develop LiPo-Ready products came after the successful introduction of KWA?s high performance AEG, the KG36C. Positive feedbacks and overwhelming demands from the industry accelerated the engineering of an AEG capable of utilizing the LiPo power source. 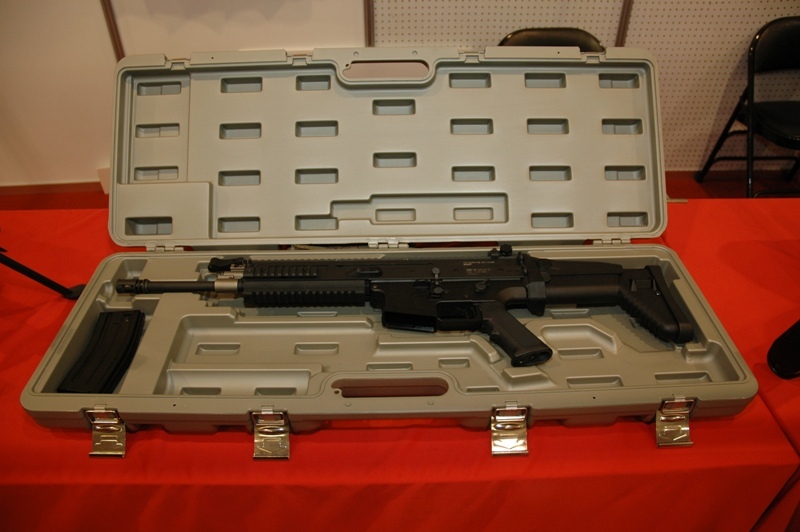 The KWA KM4A1 will be released in the US in mid September 2007 and will only be available through KWA USA Authorized Resellers. 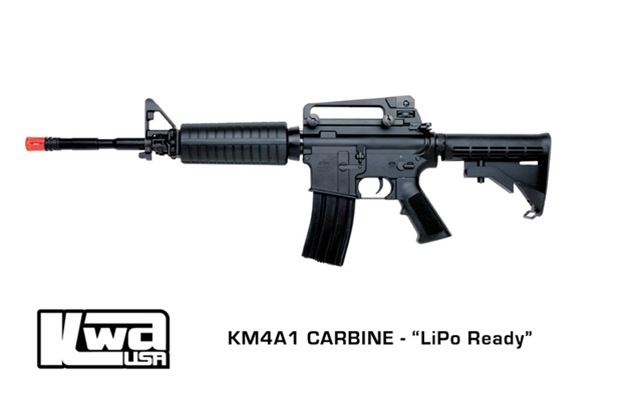 Suggested retail price for the KWA KM4A1 Carbine will be $359.95. Modify Modular Gear Set Review! Back in July I posted some news regarding Modify’s new modular gear sets, and as promised we bring you an exclusive review of the system. 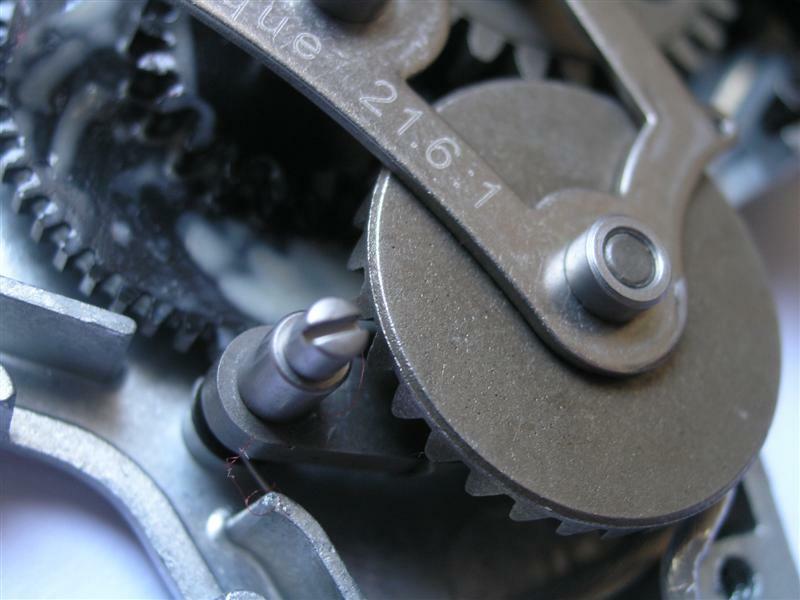 The results are up in the review section of the forums and let me tell you, members with gear boxes such as the Echo 1, JG and JLS who are having problems shimming and aligning are in for a treat! I have just received word that an ACM company will be releasing the Japanese Self Defense Force (JSDF) Type 89 Assault Rifle, right now details are a little vague as to if it will be the solid or folding skeleton style stock. Although we do know that it will have a mechanical 3 round burst gear box (Version 8 gearbox). Now some might proclaim this to be a hoax, but this has come from a very reliable source and they have also secured as an exclusive sample for review which should be with us next week! It looks like Echo1 USA has taken a more serious line in the Airsoft industry with the securing of license rights to produce fully trademarked and logo’ed weapons produced by Vector Arms. This is certainly going to cause a huge stir in the “Clone/ACM” debate as to whether or not Echo1 USA can truly be considered a Clone company anymore! 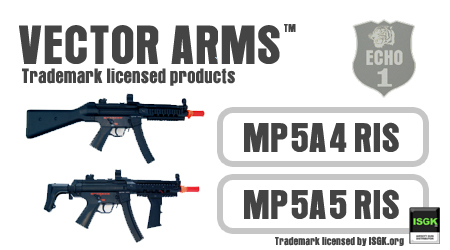 ECHO1 announce their new products lines: Vector Arms licensed MP5 and AK series. 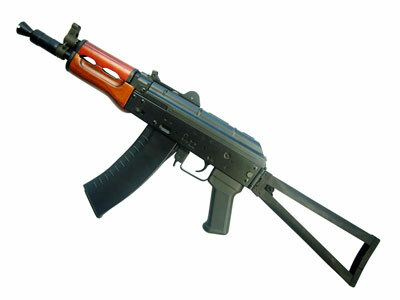 Vector Arms is a US firearms company famous for AK and MP5 series. 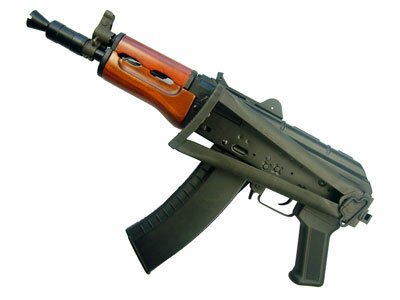 Our AK CPM will be available within one month. Full metal MP5 series is available now! 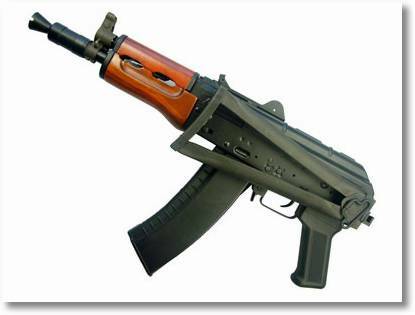 For more pictures of the ICS AK74-M and AK74-S head on in to the forums to see more images of these excellent replicas here! SWAT is pleased to announce that throughout August we’ll be running a promotional offer including 10% discount and Free delivery on all purchases. Just place your order as normal and add ‘Arnie’s Special Offer’ in the comments box and we’ll do the rest. All for an amazing £60.00 including discount and free delivery. The team at Vega Force Company has sent us some new information and images on their new release expected to hit the shelves at the end of August. 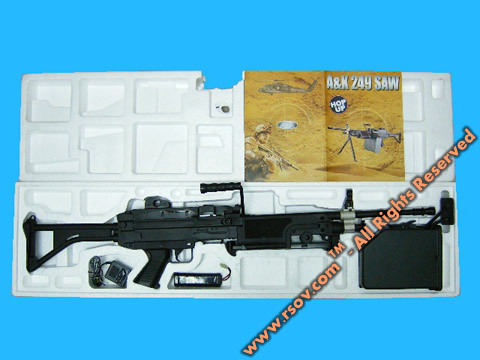 RSOV has the A&K M249 In stock! 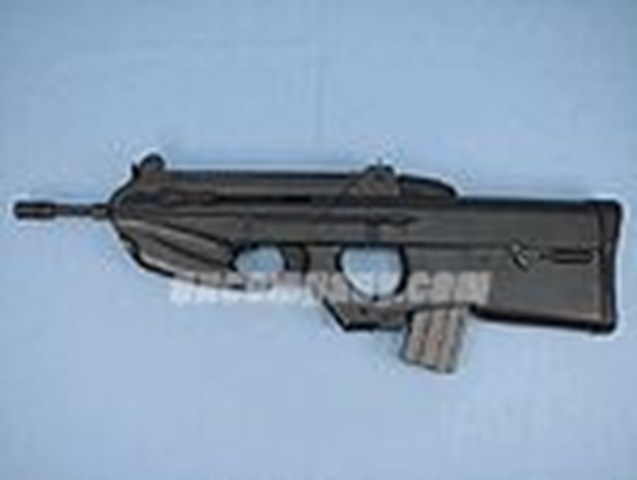 Since the release of the Army R85 a lot of the forum members have directed their collective attention towards the immanent release of the A&K M249 and it looks like the wait is over! 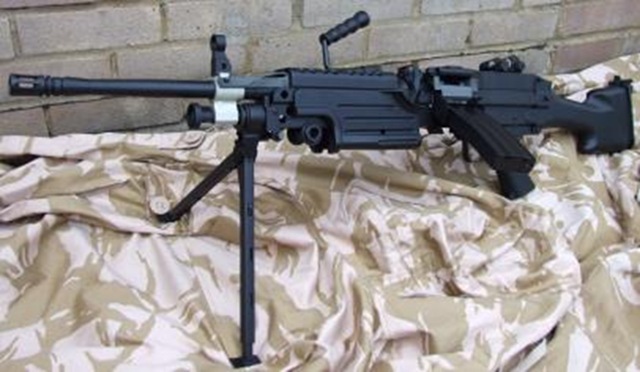 RSOV has them listed on the site for a reasonable price of £119.99 The M249 AEG comes with a metal gearbox and body and also with a 2400 round sound controlled box magazine! Another byline informs us that the KART M14 EBR will soon be released, so again we are waiting on Keith at RSOV to give us the news of its release. This time we bring you a review on a new company designing and making extremely high quality replica hand guns. 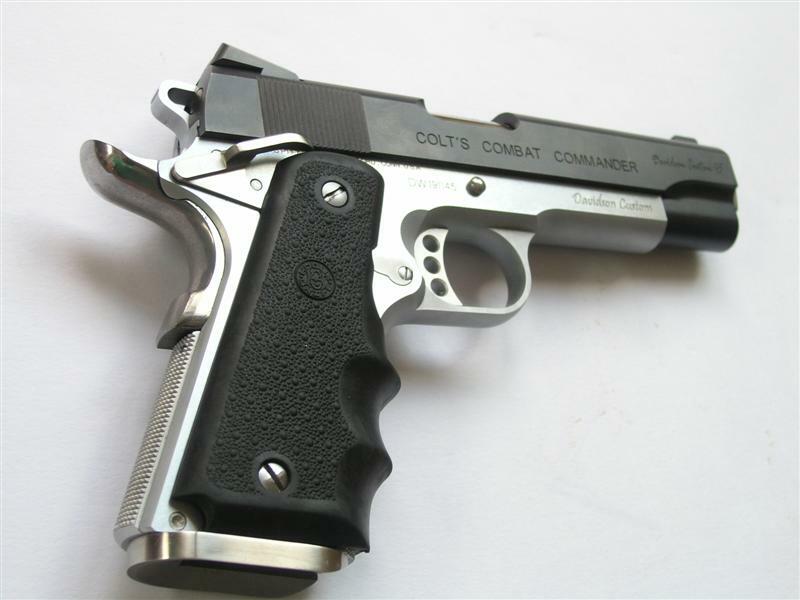 The Colt’s Combat Commander is probably one of the most remarkable pieces of craftsmanship that I have seen in the Airsoft industry and actually incorperates some real steel parts! So go check out the full review here! Classic Army – SCAR-H Pics! With all the great SCAR-L news recently… Here’s some CA SCAR-H pics! More pics in forum here. 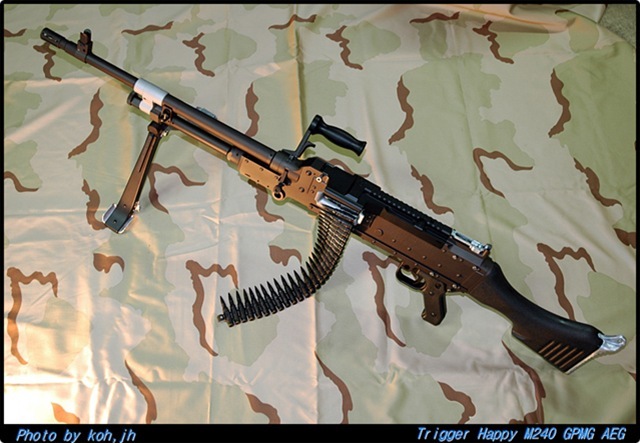 Trigger Happy – M240 GPMG Conversion Kit, Final Test Sample as posted by our user Recondo, http://www.arniesairsoft.co.uk/forums/index.php?showtopic=117924. Pictures are worth a thousand words.